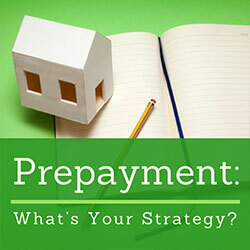 You are here: Home / Buying & Selling Strategies / Mortgage Advice / Prepayment: What’s Your Strategy? Whether or not to prepay your mortgage is a personal decision, which varies based on your goals, comfort level and other individual circumstances. And, whatever way you are leaning on this quandary, it’s best to first consult with your mortgage professional and financial advisor. Working in tandem with them will put you on the best path to the strategy that works best for you. The advantage of paying down your mortgage early is the ability to save on the overall interest you are paying on the mortgage and pay the loan off quicker. On a typical 30-year fixed rate mortgage for $200,000 at a 4% rate interest, an APR of 4.052, the approximate interest you are paying over the life of the loan is $143,739.39. If you were to pay an additional $100 a month toward principal, you would pay your loan off in 20 years and save approximately $26,866.18. Still, with historically low interest rates, it might make sense for a homeowner to refinance to a lower rate, rather than making extra mortgage payments (prepayments). This could drastically reduce your interest rate and even shorten the term of your loan via re-fi, rather than tying up cash through prepayments. But here are the basics of prepaying in order to prepare you for a conversation with your mortgage banker and financial advisor. Typically, most conventional, FHA, VA and USDA mortgages give you the option to make full or partial prepayments, and most do not have a prepayment penalty. You generally have the option to make payments to principal at any time before they are due. If you make a prepayment – this payment toward principal – you need to indicate to the note holder/servicer in writing that that is what you intend. You can either send a separate check with “principal payment” in the memo, or most lenders have a separate section on the online payment screen dedicated solely for principal payment. 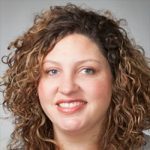 Again, the downside to prepayment is that your mortgage is likely the cheapest money you have borrowed, so, with historically low mortgage rates, any extra cash flow might best be directed to pay down higher interest credit cards, beef up your rainy day fund, or max out your tax-advantage plans. This is why you want to balance all factors, having your mortgage loan officer, financial advisor and perhaps other advisors weigh in. This kind of decision, which is based so much on your individual circumstances, underscores the importance of dealing with a mortgage pro who knows you and your goals, or who will take the time to get to know you and your plans. A lot of people can quote you a rate or sell you the loan product du jour, but you need options that are tailored for you. Borrower’s reaching retirement age are usually the best candidates for prepaying their mortgage, but that can vary too. More often than not, near-retirees are in their final home and would like to eliminate all debt before they retire. This gives them peace of mind and the ability to enjoy retirement without a monthly mortgage payment. If prepayments do seem like the option for you, ensure that they are allowed on your loan and that you do not have a prepayment penalty. Likewise, make sure to reference your mortgage note and, when you send in a prepayment, make clear that the extra funds will go toward principal. Why? Interest is paid in arrears so each day after your last mortgage payment you are accruing interest. If you were to send a prepayment on May 15th you would have 15 days of accrued unpaid interest. Best practice when paying additional principal payments is to send it on the first of the month the same day as your monthly mortgage payment to ensure the full amount is applied directly to your principal balance. And, yes, do your due diligence; if you do make a prepayment, take the time to verify that it is credited correctly – each time. It likely will be credited as it should be, but if you are going to budget your money in this way, be sure to close the loop. So, there is no one right answer in terms of prepayment, yes or no. It’s an individual choice and, if nothing else, a good time to touch base with the pros who stand ready to advise you.